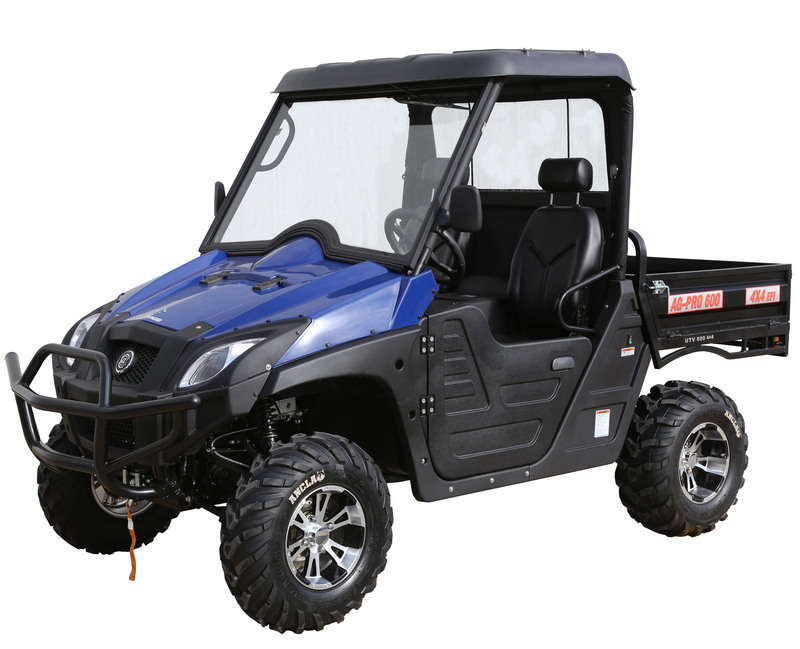 The AG-PRO 600 is sourced from China’s leading UTV manufacturer and one of the largest providers of UTV’s in the United States & Canada. 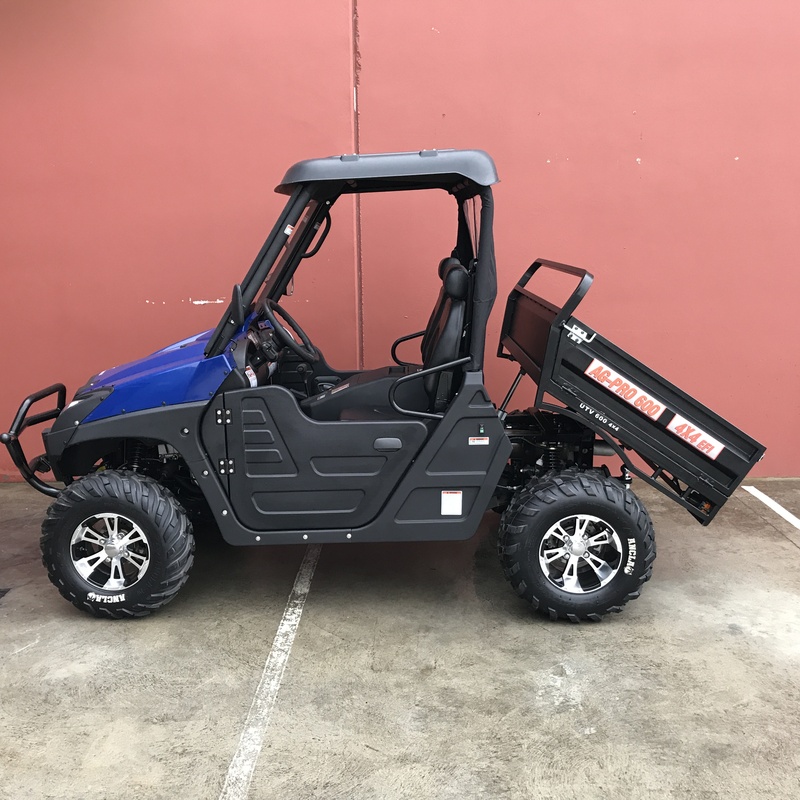 The AG-PRO 600 has a 600cc CF Moto-Bosch ECU controlled fuel injected, water cooled petrol engine with selectable 4WD, high and low range and front diff lock. 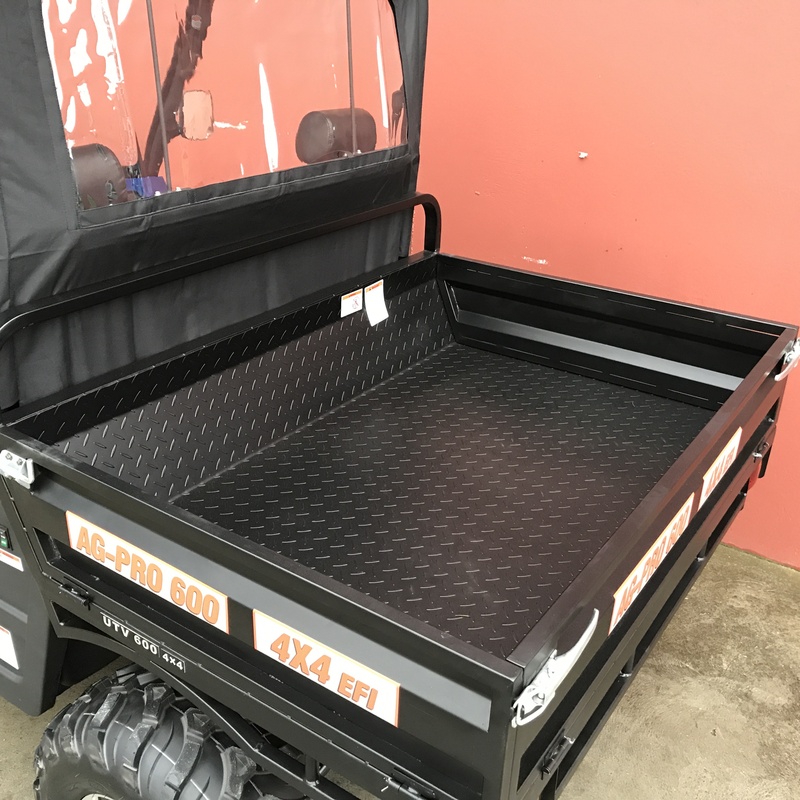 Level Flight Suspension with performance nitrogen filled shocks delivers a flat smooth ride over the most demanding terrain. 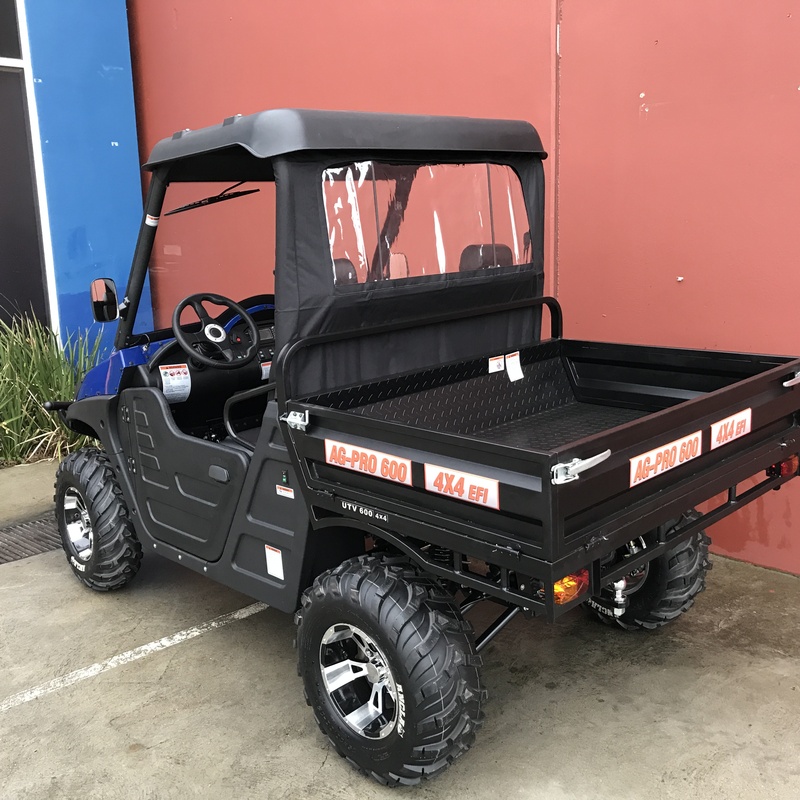 A host of standard features including: Two-Piece Windshield,ABS Hard Top Roof, Alloy Wheels, Tow Bar, 4-Wheel Disc Brakes, Digital Analog Display,Bench Seat and Side Doors make this one of the finest quality and value packed UTV’s available. 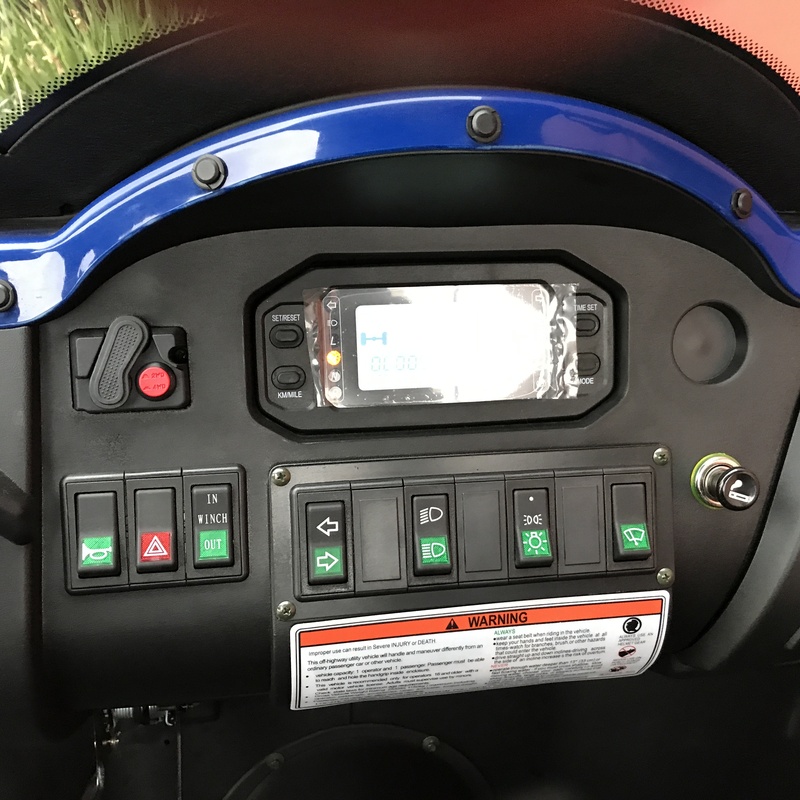 Output Power 22KW (30HP) 6000rpm. 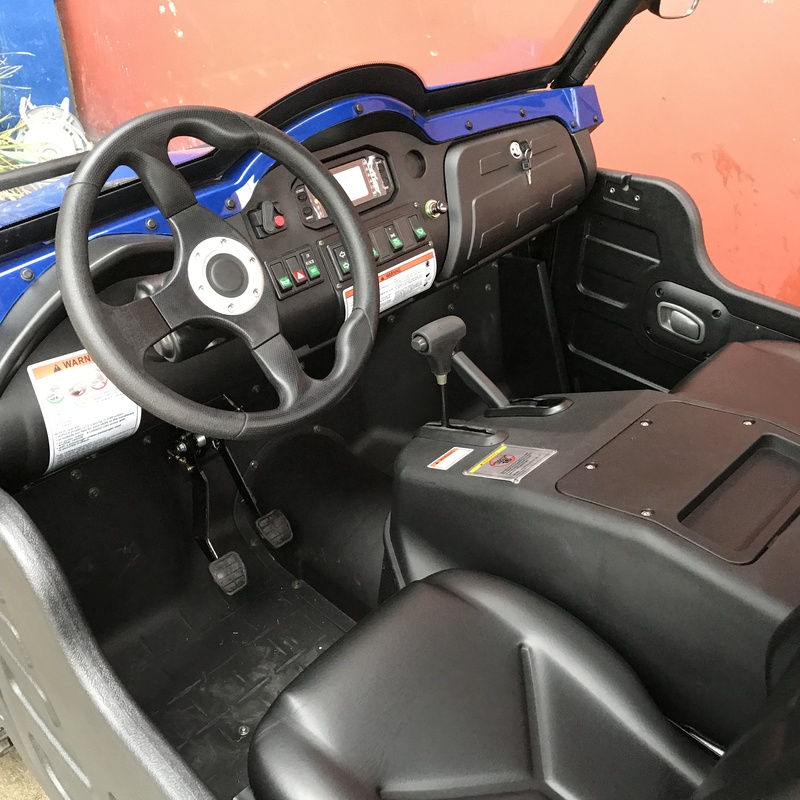 Selectable 2 or 4WD with Front Diff Lock. Front & Rear Shaft Driven Diffs. Front & Rear Independent Suspension. Gas Filled Adjustable Front & Rear Coil Over Shocks.